Sudden infant death syndrome (SIDS) relates to the sudden and unexplained death of infants, typically during sleep. The cause is currently unknown, although it is thought to be linked to the neuronal control of breathing, particularly to the infant’s ability to respond to external stressors. It is also recognized that environmental factors (e.g. sleeping position, surface material, room temperature, second-hand smoke exposure) can increase the risk, along with other factors such as respiratory infections, gestational age at birth, or genetic disorders. Changes in the breathing pattern can be an early indicator of the infants’ cardiovascular and respiratory systems inability to respond to external stresses, such as elevated CO21. In preclinical research, breathing patterns can be tracked in conscious and unrestrained subjects for extended time periods using whole body plethysmography. This can be done in absence or presence of known external stressors, making this system an ideal tool to study SIDS models. 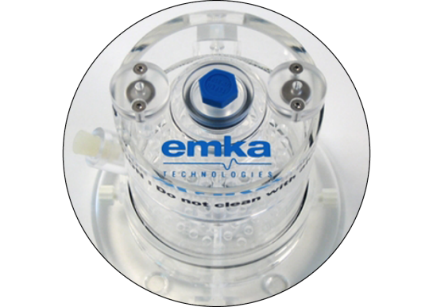 Inserts are also available for neonate subjects so that ventilatory parameters can be studied as early as 2-3 days after birth. Approximately 10-15% of all SIDS cases can be linked to ion channel mutations leading to fatal cardiac arrhythmias. Electrocardiogram (ECG) recordings can track the onset of ectopic beats and ventricular tachycardia, which can directly lead to sudden death2. Invasive or surface ECG recordings can be used to detect and quantify arrhythmias in newborn subjects to study SIDS. Speak with our experienced team about your research during the American Thoracic Society’s 2017 conference. 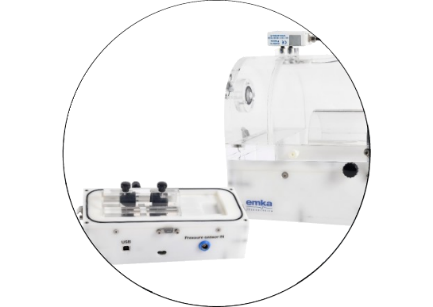 Take the opportunity to visit the emka & SCIREQ booth #1731 and learn more about our different solutions for your preclinical research. 1The Cerebellum and SIDS: Disordered Breathing in a Mouse Model of Developmental Cerebellar Purkinje Cell Loss during Recovery from Hypercarbia – Calton et al. Front Neurol. 7:78, 2016.